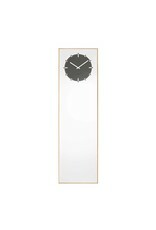 The inverse is a mirror/clock hybrid with a solid oak frame. By turning the dial, the 12 position of the clock can be changed. 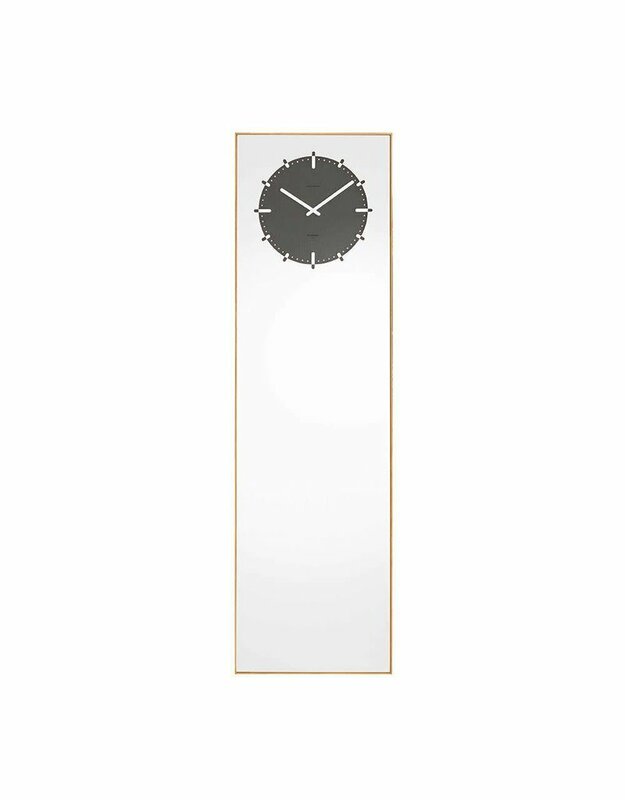 A clever feature that gives you the possibility to hang the clock horizontally or vertically or make it lean casually against the wall.